Having pastel nails will mean that you love to be calm and quiet because these colors represent cool personality. Pastel colors are not vibrant as they have medium or low saturation. These colors have something that can intrigue your heart. Mint green, baby blue, mauve and some other playful colors are the family of pastel colors. The charm of pastel nails will play a vital role to beautify you. You have to be careful only about the color combination. All the colors are beautiful but the right combination makes the difference. And, like every other manicure, rhinestones, studs, bows, and glitters can be associated with the pastel colors. Check the below list to know more. Paint your nails with more than one pastel colors. Place a bow on one of the nails. You can put rhinestones on the bow to make these pastel nails shine brighter. Paint your nails with random color blocks. Use a different pastel color to block each nail. And, you can use gold glitters as border lines to distinguish the different colors. If you want freedom from the complexity of a nail art, you can choose a playful pastel color to paint your nails. You don’t have to do anything fancy. Just paint your nails with a plain lilac or any mild colors. This is one of the best color combinations of pastel colors. You can simply paint each of your nails with a different pastel color to have these amazing pastel nails. Celebrate this Easter with the glam of these cute pastel nails. You can add glitters or tinsels on the nails to create a festive look. Searching for the best colors for your almond nails? Well! You can try these pastel colors. Your almond nails will look beautiful for sure. This design looks gorgeous but very simple in terms of the application process. Paint your nails with two tones of pastel colors then place two silver stripes to enhance the beauty of the nails. This is an example of sheer innovative pastel color acrylic nails. You can increase the beauty of these acrylic nails by placing a black bowtie on each nail. This nail design is one of the best pastel nails you will ever get to see. A marble pattern nail is the main attraction of this design. You can also fill any of your nails entirely with silver glitters. You don’t have to confine yourself with only one color. Try these gradient nails having a few pastel colors blended in a single nail design. You are already familiar with a french manicure if you follow the nail art trends. You can design your pastel nails being inspired by the french manicure. Paint the tips of your nails with paste color to have these fabulous nails. 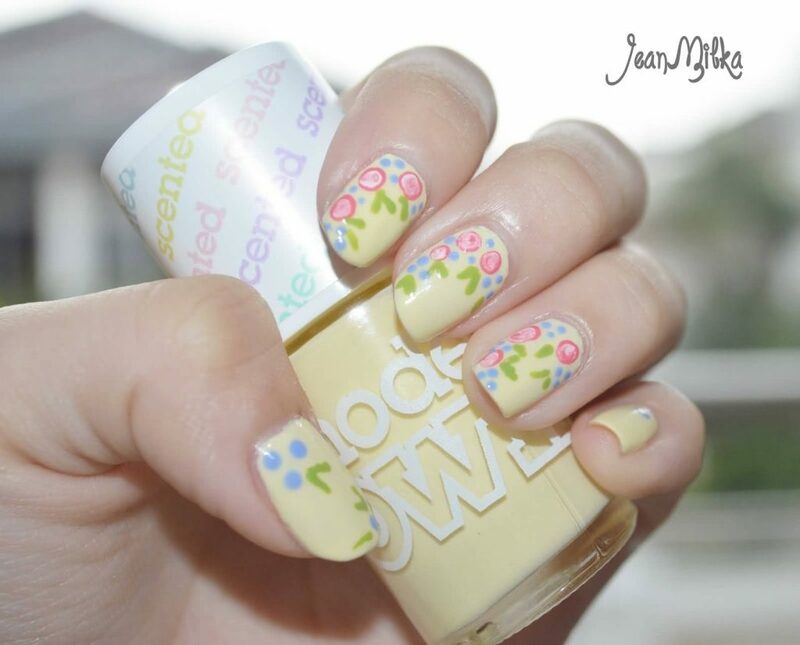 Add some floral designs on your pastel nails to have the beauty of floral grace. This is a different pastel nail art. At first, paint all your nails with a single pastel color. This will work as the canvas on which the owl will be drawn. Be assured that everybody will love this cute owl staring at them. You can simply make your nail design a special one. Use two colors instead of one. This will create a two-tone nail design. Studs and glitters are very effective to make a mani look luxe and attractive. You can increase the beauty of your nails to a great extent if you can place some studs in the right place of your nails. This nail art is absolutely mindboggling. These heart shapes are complementing the whole nail art. The stripes, studs and negative spaces, everything is so well organized that anyone will be a fan of these amazing nails. This is an interesting nail art. Paint your nails with a white color that resembles the clouds and a few shades of pastel colors that resemble the rainbow. This overall rain art seems to be a perfect depiction of floating clouds and rainbow. Paint your nails with pastel colors and dab some pastel color drops on them. You can use more than one pastel color drops to make the design look more colorful. The colorful dots look so cute on pastel nails. You can add an extension to your pastel nails to make them look chicer. Here, some tiny pearls and fine glitters have been used to beautify these pastel nails. Creating a half-moon shape on the lower part of the nails is an old custom. You can modify this trend by dividing the half-moon into a few parts. Use pastel colors to do so as you’re having pastel nails. These nails are popular as an identical pastel nail art. Try something like this on your next manicure appointment. Originally, this design is very simple, a plain pastel color has been used here. But, the ornaments of the nails is helping these pastel nails look trendy and funky. Paint some roses on your yellow pastel nails to get a manicure like this one. This is a simple way to get your nails designed with pastel colors. Don’t try anything fancy if you aren’t sure about that. Try these simply striped nails to get the maximum effect of pastel colors. If you want to be the center of attention on valentines day or any day of love, try this simple yet elegant art on pastel nails. The strength of pastel nails is the coolness of the colors. That’s why you don’t have to think much about the art and designs. The colors will do your job, all you have to do is make sure you are using the right pastel color combination.